No Need to Fear Orthodontic Treatment! When it comes to straightening your teeth, braces are actually quite fun to wear! You don’t need to fear orthodontic treatment, even if you’re just a child. There are about 4.5 million people each year that wear braces. A large part of those are teenagers, but at least 1/4th are adults and many more are children. Most patients find that they actually like braces and all the benefits they bring to their smile. Orthodontic treatment can actually make your teeth prettier, easier to clean and can help you in so many ways throughout your life. Find out just how fun (and healthy) orthodontic treatment can be for you and why you should invest in it today! Some patients may fear orthodontic treatment (a.k.a braces) because they think they’ll look childish, or they’ll have a mouth full of metal. Others fear the unknown. Technology has come a long way in year past, allowing patients more options for straightening their teeth. You can choose to have traditional metal braces that you can dress up with color bands. However, you can also choose ceramic braces that blend in with the white of your teeth. There are also stealthy ways to straighten your pearly whites with lingual braces that are worn on the inside of the teeth. Invisalign transparent aligners also allow you to straighten your smile without anyone knowing. 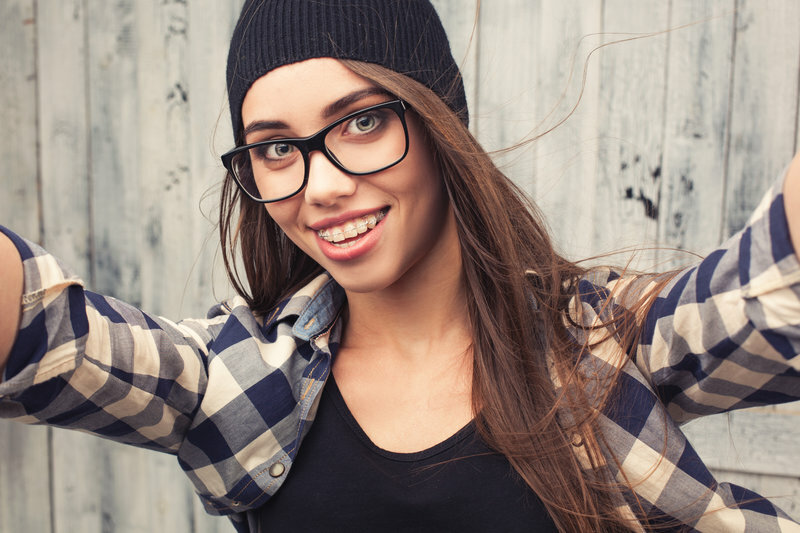 In a study conducted by Invisalign, they found that receiving orthodontic treatment made teens and adults more confident. That confidence helped them to feel more successful and be more successful. In their study, people perceived people to be more attractive, trustworthy, and smarter when they straighten their teeth. Orthodontic treatment is something to be excited about instead of feared because of all the amazing benefits that treatment gives a patient. Dentistry and orthodontics are closely related although they are vastly different. Even though an orthodontist won’t correct cavities for you, he can can you prevent them in the first place. Straighter teeth are teeth that have fewer cavities than teeth that are crooked. Why? When the teeth are crooked, they are much harder to clean. The American Dental Association recommends brushing the teeth at least twice a day and flossing every single day. What if your teeth are so crooked that you can’t floss between them? What if you can’t reach certain areas to brush away the plaque that builds up every day? Tooth decay is what happens when you don’t keep the teeth clean and free of plaque. Plaque is a sticky, acidic substance that erodes away your tooth enamel. Every time you eat or drink, sugar mixes with bacteria in the mouth to form plaque, which eats away at your teeth. If you can’t clean the teeth properly, you’ll soon have tooth decay all over. Straightening the teeth will instantly lower your risk for cavities and oral issues. Even children receive braces for bite and alignment problems while they are young to prevent the progression of problems that can become severe later on. Children younger than 10 often wear braces. Why? There is usually a problem with bite or alignment that needs to be corrected. Why don’t we correct those issues later on in life? Studies have found that the jaw continues to grow a few years into adolescence. Bite and alignment problems are common in many children. Because the jaw is still forming for so many years, it’s easier to correct bite and alignment when a child is young. We can bring a child’s bite into correct placement with simple orthodontic treatment. When a person grows to be an adult, that orthodontic treatment is much trickier and it takes much longer to correct problems. That’s why we see children when they are young, so we can easily correct problems that could become lengthy and painful later on. With the right orthodontic treatment, correction never has to be painful! Did you know that there are over 4.5 million people that wear braces each year? That’s just in the United States! The largest population that wears braces are teenagers and children. That means, that when you have braces, you have millions of other people who are also straightening their teeth alongside you. If you are a student, you will see childen and teens rocking their braces everywhere you go. However, orthodontic treatment isn’t just for kids; it’s for adults as well! It’s estimated that at least 1/4th of all people with braces are adults. Sometimes, these adults were not able to receive braces when they were younger. Other times, the teeth have just become crooked over time and an adult needs some orthodontic treatment to straighten their smile once more. Orthodontic treatment has become more affordable over time (especially with pay plans), so more and more people are getting their set of braces each year. With millions seeing their orthodontist every month, it can’t be that bad. You will actually start enjoying your orthodontic visits, especially as you see your teeth straighten out more every single month. How cool is that? If braces were scary, millions wouldn’t be wearing them. Braces can make you more confident and successful no matter if you are a child or an adult. They will also give you a beautiful smile that you can watch change every single month. If you have fears about orthodontic treatment and would like to know more about braces, we can help put you at ease. Simply call our Belmar Orthodontics office today at (303) 225-9016 to learn more or to schedule your free consultation!